Magic in a fantasy novel has to have rules. Otherwise, anything is possible. And if anything is possible, how can your story have tension or conflict? What would be the purpose of reading the hero’s journey if the hero has unlimited power? That would be boring. It would be more interesting if the hero had something to overcome – a foe with more powerful magic, a limited skill or knowledge in magic, or a limit to the amount of magic which could be used. When I first started to write, I thought the magic part would be easy. But if I didn’t know what kind of magic the characters would have and how would they use it, then how could I set limitations? The first thing I did when determining the rules of magic for writing a fantasy novel was consider the different ways that magic has been used in literature and in the movies: Gandalf’s magic in Lord of the Rings, additive and subtractive magic along with magical symbols of Richard’s magic in the Sword of Truth series, magical spells and magic wands used by Harry Potter, magic potions and incantations of the witches in Shakesphere, magic in the Labyrinth, magic in the various Disney movies, and so on. Who can do magic? Everyone or just a select few? Is magic only given to a certain race of people, is it inherited, or is it chance? How do people learn magic? Is it natural, learned in books or special schools? Is magic taken from one’s own personal strength or is there an outside source of magic? Is magic called upon by speaking spells, by one’s own inner thoughts, by magical objects or talismans, by magical potions, or by drawing symbols? Do people have to speak spells out loud? If so, in what language? Do they use it in conjunction with an innate ability or can anyone speak a spell? What kinds of things can magic do? Can magic make things disappear, read thoughts, heal, make fire, help people travel long distances in a short time, change the weather, make objects move, bring the dead back to life? Is there a limit to how much power one person can use? Does magic get exhausted and have to be replenished? Does it take effort of the user? Does using magic have consequences? Does it drain their strength, cause pain, take away memories, take away their sanity? Do different people have different skills and different levels of skills? These are just a few of the questions to ask. If you are trying to determine your rules of magic when writing a fantasy novel, start with brainstorming. Write down all the different ways you can think of from movies and books. Consider how each story has its own unique form of magic. Then determine what makes more sense for your story and start making rules. Here is a good place to start. 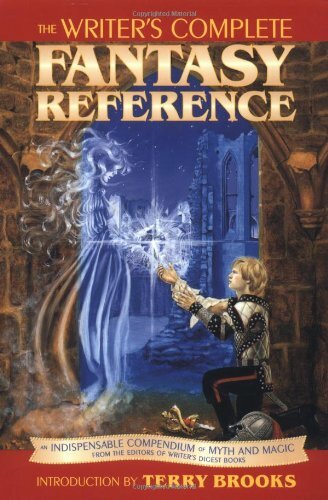 Check out this book, The Writer’s Complete Fantasy Reference. You will get ideas on different forms of magic as well as a lot of other important aspects in writing a fantasy novel. Once I decided upon the rules of magic, I then had to consider the names of the people who could use magic. Would I call them sorcerers or warlocks, witches or entrantresses, necromancers or wizards? Then would I call it magic or use fancy or made up terms like alchemists or namers as in The Name of the Wind? Would the people who have magic be leaders, or would they be shunned by society and burned at the stake if they were discovered? But these questions are for a whole other blog post. Slow Down on the Blogging – For Now? I am working a full time job, working on my retail websites part time. And I blog on three blogs every three days or so. Finding content for three blogs is very difficult, to say the least. And if I find the content, finding the time to write the content in an informative way is even more difficult. So what am I going to do? Well, thankfully I have a loving husband who thinks I should quit the full time job. Because money would be tight, I haven’t taken him up on this offer – yet. But I am tired. We are trying to make a family but I am too stressed. Something’s got to give and I would rather have it be the full time job. I love the retail websites and I love to blog. But still, I am not ready to quit just yet. So what do I do in the meantime? I hate to say it, but I think I am going to slow down a bit on the blogging. I have been trying to post here every three days or so, but I think I am going to make it once a week now. But I am going to make those posts worthwhile. 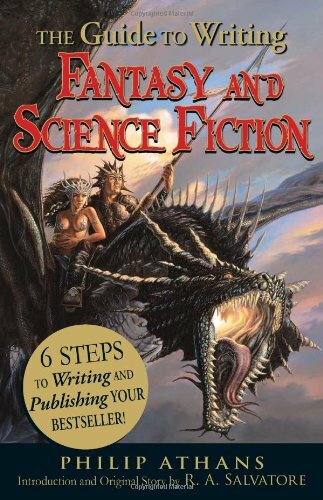 If it is not a short story, then it will be an informative post about fantasy writing or getting published. Check out this blog on the weekend for a new post. I will try to have a new post up as early on Saturday as possible. When I quit that full time job, I will be back to posting something new every few days. My second love before writing is animals. I love animals of all kinds. I have worked at animal shelters and vets as well as volunteered at animal shelters and wildlife rescue groups. My love for animals has extended to my online presence. I have written several articles about animals which I have contributed to various websites. One such informative article is about rabbits and hares which I wrote around Easter one year. Check out my Squidoo page at http://www.squidoo.com/fun-information-rabbits-and-hares. Visit my Yola.com site for the short story, "Tree Song"
I’ve recently created a couple of websites for my short stories. These websites were free at Yola.com and Webs.com. I made http://treesongbydawnross.yolasite.com/ from Yola.com for my short story titled “Tree Song” and http://celticdragonbydawnross.webs.com/index.htm from Webs.com for my short story titled “Celtic Dragon”. Of the two sites, I much prefer Yola.com. Why? Because I hate the ad on Webs.com. As far as I can figure, there is no way to alter that ad. Also, the ad changes and sometimes the ad is misleading. One of the ads indicated that it was a video. So people who visited the site clicked on it thinking it was a video for my short story. And guess what? They got an error message from their firewall advising that the link was potentially harmless. AWFUL! The other thing I don’t like is that I have a hard time entering code. With Yola.com, I was able to easily add my Google Adsense code. And since I can easily add the code, I can put it anywhere I want and not have it interfere with or mislead my site. I can also choose which ads I do not want. As far as usability goes, both Yola.com and Webs.com are equally simple. They are different but I did not find one more difficult than the other. And both have an equal varied assortment of templates. If it were not for the misleading ads, I would have a difficult time choosing between Yola.com and Webs.com. But since Webs.com has the ugly ads, I will not use them again or recommend them to a friend. I’m sorry, Webs.com, if this is your means of making money. I choose Yola.com. Legend of the Seeker based on Sword of Truth Series by Terry Goodkind. I think I’ve mentioned before that I love the Sword of Truth series by Terry Goodkind. Of all the fantasy novels I have read, it is my favorite. Needless to say, when I heard it was being made into a TV series, I was excited. And when I heard it was being produced by the same people who produced Hercules and Xena, I was ecstatic! Some of the same characters from Hercules and Xena are in the Legend of the Seeker – Michael Hurst (Iolaus in Hercules) was in an episode of the Seeker; Craig Parker who played Darken Raul played a couple roles in Xena; Jay Laga’iai who played Chase also played Draco in Xena; Jeffrey Thomas was Jason in Hercules and George Cypher in the Seeker; and my favorite, Ted Raimi (also the producer Sam Raimi’s younger brother) who was Joxer in Xena had a couple of roles in the Seeker. 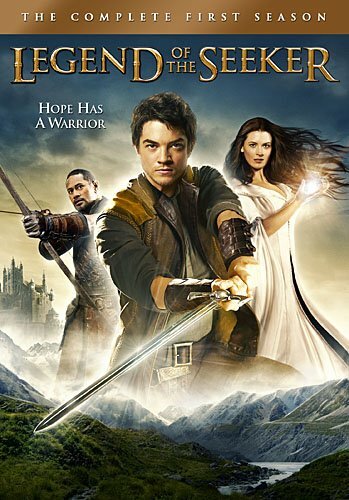 While I enjoyed Legend of the Seeker, I don’t think it lived up to the Sword of Truth series. While I liked the character who played Richard, he just seemed a dimmer version of the Richard in the book. Zed and Darken Raul didn’t quite fit either. Kahlan was the closest in my opinion. Once I got over the fact that Legend of the Seeker wasn’t going to be like the book, I rather enjoyed it. Season two was more intense and better overall, even though Richard’s beard made me laugh. He was trying so hard to look mature and more serious, but fell short. Of all the episodes in season one and two, my favorite episode was Mirror where a magic mirror turned a couple of con artists into Richard and Kahlan. This episode had a ring of the comedic episodes of Hercules and Xena to it, but it was funnier. Legend of the Seeker only lasted two season, but people are fighting to bring it back. I hope they do. I, for one, would most definitely watch it. You can purchase Legend of the Seeker, Hercules: The Legendary Journeys, and Xena: Warrior Princess on our Amazon site Fantasy/Sci-Fi TV Series. And you can purchase the Sword of Truth epic novels by Terry Goodkind on our Amazon site Fantasy Authors. Nothing dampens my creativity more than the day to day grind at the corporate monster. After a long day of work, it is so easy to procrastinate on writing. My brain is already half-dead at this point anyway. So how did I do it? Writing my book was not easy. Even though I had the story in my head for years, it took me over a year to actually write it. I was lucky enough to have extra time at night. See, I worked the night shift as a 911 operator. My shift started at 10pm. It was busy for the first four hours but after 2am, it was almost dead. Since I had to be ready for phone calls, I couldn’t just leave my desk. So some nights when I wasn’t joking around or gossiping with my coworkers, I wrote my book. But that luxury didn’t last long. 911 was a stressful job and I had to quit. Any job I held afterward was less stressful but more time consuming. As a result it took a lot longer to write my second and third books. In order to keep myself from procrastinating too much, I made certain that I had specific time set aside for just me. No one was to interrupt me during that time. Sometimes I just wasn’t in the mood to write so I goofed around. But most of the time, I buckled down and just did it. 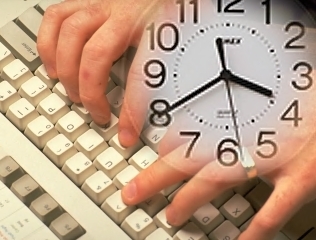 Anyone who tells you they have “secrets” to finding time to write are just trying to sell you something. The true “secret” is discipline. You have to commit and stick to it as much as you can. Never give up. You will have bad days where you get nothing done, but you will have good days too. And the more good days you have, the sooner you can finish your book. Reading short stories written by other authors can be very inspiring. I don’t copy their ideas, but their ideas sometimes open my mind and get that creative wheel churning. Other writers can be a great inspiration for writing. I have established relationships both online and off. So I have a great source of people where I can read their work, get good tips, and receive constructive criticism. This is unique to me as I am a fantasy writer. Looking at fantasy art of dragons, fairies, and men in knightly armor sometimes gets me in the right mood for creative writing. Sometimes I watch movies for inspiration. Even though I have seen Lord of the Rings a hundred times, watching it again can get my imagination going. This is a very important thing that I need to do in order to write. I have to set aside time and dedicate myself to that time. If I don’t set a time and a time table, I tend to procrastinate. If I do not have any creative juices flowing when my time to write has come, I just do it anyway. My work is not at its best when it is forced. But sometimes just the act of writing gets me in the right mind set. Some of these techniques work and sometimes they don’t. And some work better than others. Unfortunately, there is no magic pill. But the biggest key is to keep trying. What do you find inspiration to write?